← ‘Secret’ UK Engineers – More than We Think? For generations nature has provided the inspiration for numerous feats of engineering, and often when it comes to solving design problems nature already has the answers. Ultimately the engineering industry has a lot to learn from Mother Nature and some believe we may even be on the brink of an engineering biomimicry (biologically inspired engineering) revolution. This is because thanks to the development of new technologies, we are capable of analysing and simulating biological materials in greater detail than ever before. Here we take a quick look at some amazing examples of technology and feats of engineering inspired by nature. Swiss engineer George de Mistral drew upon the ideas of nature in order to invent the iconic fastening system Velcro. His inspiration came from the burrs he found stuck to his dog&apos;s hair. After examining these extensively under a microscope he noticed that these burrs had tiny hooks on the end of their spines that caught anything with a loop such as clothing or animal fur. This design is mimicked in the Velcro fastening systems we see today which consist of a strip of a hooked material that fastens to an opposite patch of material containing small loops. Velcro remains ones of the best known and most successful instances of biomimicry. 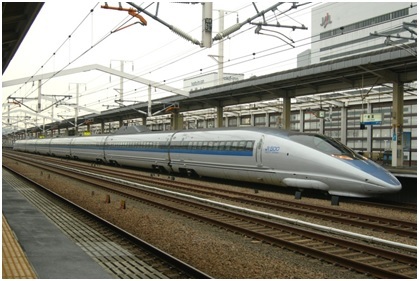 Another instance of biomimicry in action is Japan’s high speed trains. Engineers in Japan took inspiration from the kingfisher in order to solve the problem of the high levels of noise pollution caused by high speed trains. Kingfishers are renowned for their ability to dart into the water, whilst barely creating a sound or ripple. Engineers redesigned the nose of the train to resemble the beak of a kingfisher, and not only did this solve the noise problem, it also enabled the trains to travel at faster speeds too. Whilst birds wings have undoubtedly provided and indeed continue to inspire aircraft design, another rather more unexpected animal species has also provided an important source of inspiration for the aerospace industry, namely the humpback whale. These whales are remarkably agile swimmers and it is thought that this swimming ability may be attributable, at least in part, to a row of bumps called tubercles located on the front edge of their fins. Inspired by this a team of scientists and engineers conducted tests in a wind tunnel using a model of the pectoral flippers of a humpback whale; on some trials they used a model with a smooth surface and on other trials they used a model with bumps on its surface like those found on whale&apos;s flippers. The results of the testing showed that the flipper with the bumps had improved lift, less drag, and was also less likely to experience stall at steep wind angles. This could potentially make planes more manoeuvrable and add a new margin of safety to aircraft flight. Researchers have also demonstrated that by adding rows of similar bumps to wind turbine blades, this can also increase the amount of power harnessed significantly. Here at European Springs we appreciate the power nature has to influence engineering design, and many of the materials and designs within our industry would not have been discovered without this important source of ideas and inspiration. We are expert spring suppliers and have an extensive range of products to meet your requirements. For more information about our great range of products and services please do not hesitate to contact us and a member of our friendly team will be happy to help you with your enquiries.